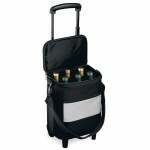 Wine Trolley 6 Bottle (P/N 3364). Our insulated wine trolley rolls on rubber wheels to absorb and minimize vibration, and the interior compartment dividers are padded and removable-great for large wine bottles and food. 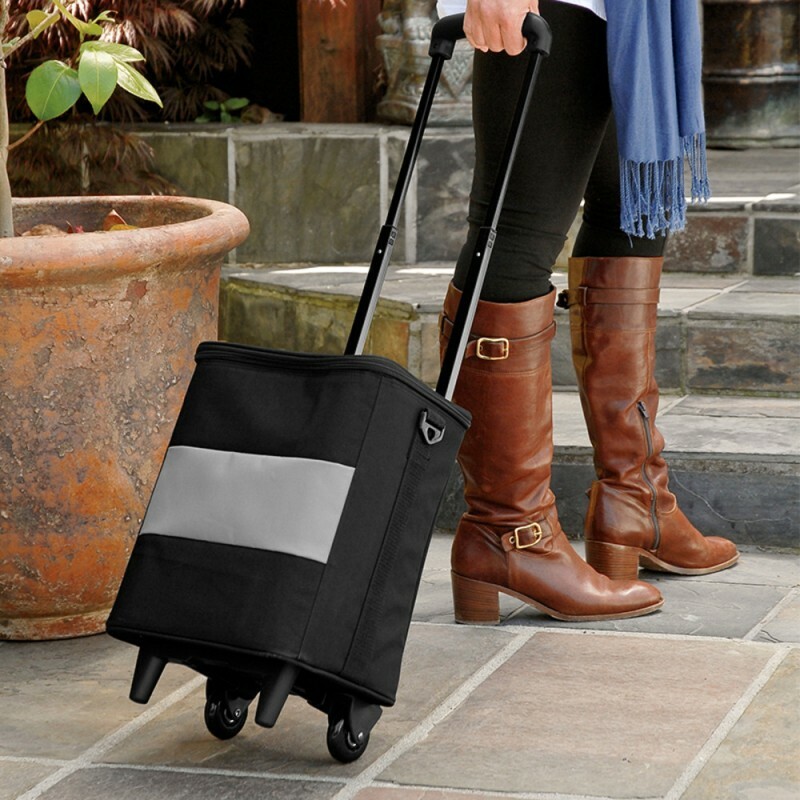 The top-zip opening and ergonomic rubber handle makes it easy to open, and two front feet keep it steady at rest. The handle extends to a comfortable 34". Adjustable shoulder strap included. Made of black canvas, polyester lining, and PVC backing. Measures: 16 1/2"H x 10 1/2"W x 6 3/4"D.
Whether you are going to a dinner party, BYOB restaurant or the wine country, we have the perfect wine carrier for you.